Mary Moloney joined the CoderDojo Foundation team in June 2014, to take up the position of Global CEO. Prior to that, she was a partner in Accenture’s strategy practice, leading engagements with international clients in the Media, High Tech, Telco & Financial Services sectors. During her 23 years with Accenture she held a number of lead positions within the organisation & within its clients, including; Partner, Managing Director and Multiple C-Suite positions. 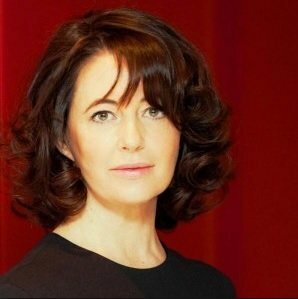 She has also been involved at board level with number of non profit organisations and remains on the boards of the Dublin Fringe Festival and the Professional Women’s Network. Both of her nine year old and seven year old sons are active ninjas who participate at the Science Gallery and Sandymount Dojos near where she lives in Dublin.